Are you ready to have some fun? Cause I have a super fun DIY to share with y’all today! 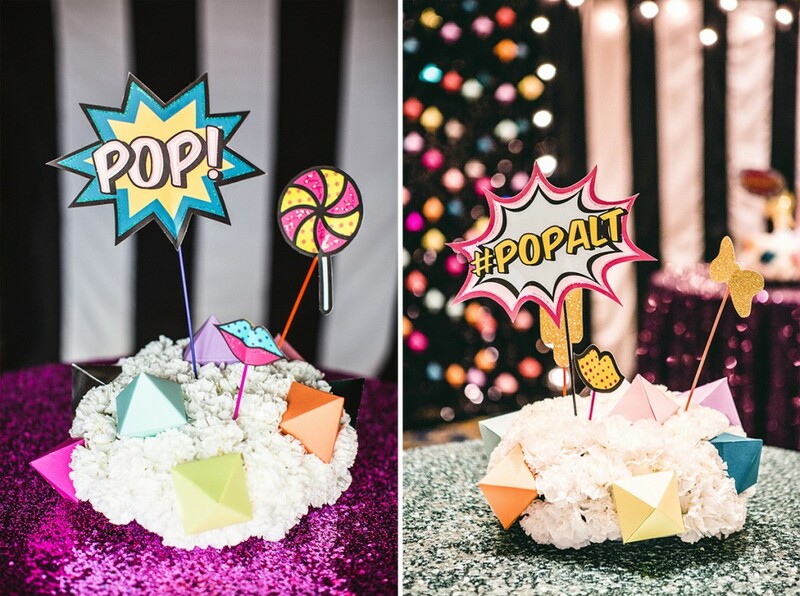 These DIY centerpieces would be great for a Birthday Party since they combine the bright colors and bold shapes of Pop Art! These centerpieces were created for one of the mini parties at Alt Summit, a premier business conference for bloggers and creatives. The party was styled by Jess, of From Rain to Shine, Audrey, of French Knot Studios, and Troy of Simply Troy Lifestyle + Events. Jo-Ann Fabric and Craft Stores sponsored the party and FiftyFlowers.com (that’s us!) provided the wholesale flowers! And Special Thanks to Izzy Hudgins Photography for the awesome images! Fun right?! Now head to From Rain to Shine to see the DIY steps! Need Carnations to complete your centerpieces? We have Carnations in Every Color so you are sure to find some that work for you!